On Easter Saturday, inside a hole-in-the-wall store, music blares as trendy teenagers rummage through boxes of records searching for unusual albums and soaking up the atmosphere in The Record Store. The scene has more energy than space, and spills onto the quaint streets of Sydney's Surry Hills where, just a few hundred metres up the road, an entirely different crowd congregates. In the stylish Crown street retailer Title, there is an older, more sophisticated group browsing the selection of refined records, artisan books, and world cinema films. 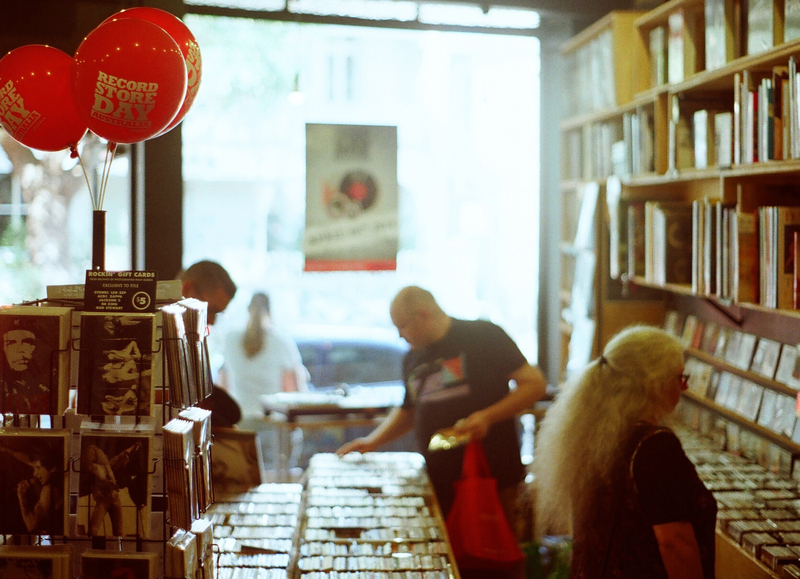 It's Record Store Day, one of the biggest days of business for these independent retailers. 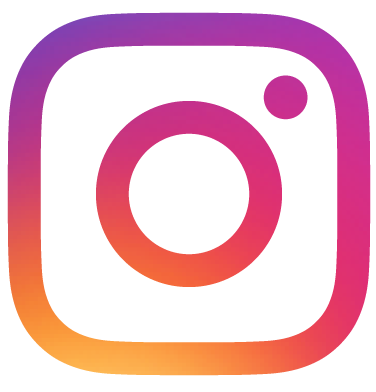 The international initiative is a celebration of bricks-and-mortar music stores, and the special products and services they offer. The scenes at Record Store Day tell a more complex story than the blanket negative data that has surrounded physical music industry sales and, on a broader scope, the retail sector in recent years. While the digital revolution has drastically affected how society consumes products, there is, and will continue to be, a niche for shops that offer customers a fulfilling experience, according to Stephan Gyory, co-owner of The Record Store. 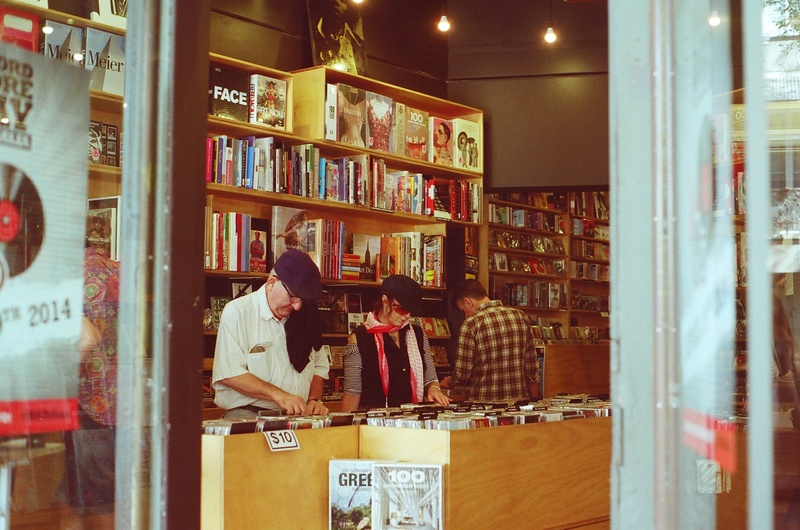 "There is a future for retail but it's with more independent stores," agrees Scott Hillyard, the national manager of Title, Australia's largest independent record store. "The digital revolution is like a giant wave that has washed over everything, sweeping it online. Everyone has been caught up in the thrill but now they are starting to realise that they can still enjoy the physical world as well," says Stephan. Australia is one of the fastest countries in the world to uptake new technology, and according to Scott Hillyard, the market is still adjusting to the advent of digital downloads, and we are now in a period of realignment between digital and analogue forms. Data from last year released by the Australian Recording Industry Association (ARIA) shows a steady decline in physical sales and an increased uptake of digital. However, according to Scott, these all-encompassing statistics relate primarily to the diminishing sales of what he refers to as mediocre outlets; the retail broad spectrum and mass-produced goods. The corporate growth model for physical music is over and the future is independent stores, he says. "In every disaster, there is opportunity," says Stephan Gyory. According to him, the digital revolution can actually benefit independent business models as it removes layers of bureaucracy and disrupts market monopoly. "What we are seeing is big music suppliers shutting down, and a lot of smaller suppliers popping up," he says. This fosters a more direct, network-based relationship between suppliers and retailers, allowing for more diversity. This notion of retail bridging the gap between industry and consumer is what inspired Brain 'Froggy' Harris to open Songland record store in Canberra, after working in the music industry for over 35 years. "Songland gives me the opportunity to work directly with friends, record labels and media contacts I've built up over the years in order to help promote music that I'm passionate about," he says. One of the highlights of his career has been helping Australian music legend Russell Morris produce his recent blues albums Sharkmouth and Van Diemen's Land. As a retailer, Froggy was able to connect Russell with a record company, and foster his albums into the market. Chuffed, he announces that Van Diemen's Land, which debuted in late April, was Russell Morris' highest charting album to date. As Dave Curran picks a record from one of the five shopping bags filled with vinyl that crowd his feet, he describes Title as a 'cultural emporium.' He has worked for the company for almost ten years, and has a vinyl collection that fills two rooms and over 10,000 CDs. He says that the store has actually seen an upswing in sales over the past few years. He puts it down to music lovers looking to stores to discover craftsmanship, longevity and physicality in an age of digital downloads. Title on Crown street opened in 2004 and since then eight more shops have sprouted nationwide. Scott Hillyard says the store's success is because of curated content and an environment where people can discover products and interact with passionate staff. "People don't like cookie-cutter shopping," he says, "you have to curate your offering and tailor it to the customer." These independent record stores offer a more hopeful story than overarching negative data which, they believe, doesn't accurately portray the robust situation of the industry. Record Store Day stands as a reminder that many independent stores see the opportunity to not only survive, but thrive in the wake of the restructuring induced by the digital revolution. Not everything is offered online. As Stephan Gyory says, "at the end of the day digital will never replace analogue forms because people are analogue. We are a part of a physical world and we still need to have that interaction."